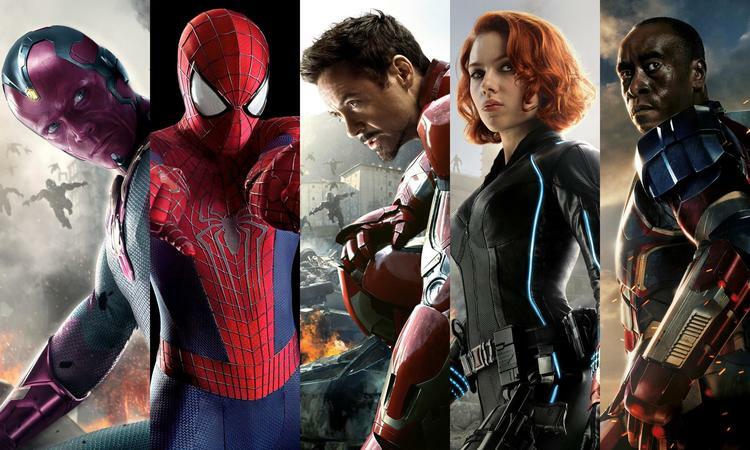 Pages on Cinema: Captain America: Civil War - Team Captain America or Team Iron Man? 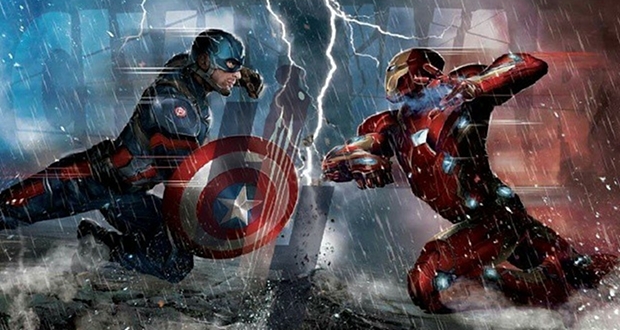 Captain America: Civil War - Team Captain America or Team Iron Man? Over on Heroic Hollywood's website, they posted an article laying out the two opposing sides in Marvel's upcoming Civil War. It's the third "Captain America" movie, but it's almost an Avengers film due to the joining of Marvel's extensive cast of heroes. So what we really want to know is, who is on what side in this battle? We know the opposing sides are led by Captain America and Iron Man, the two Avengers who seem to be constantly at odds with each other including a scene that served as a preview in "Avengers: Age of Ultron." The end credit scene in this summer's "Ant-Man" film revealed Captain America to be working with Falcon, after having found Caps old friend Bucky Barnes/The Winter Soldier. Together they clearly intended to recruit Ant-Man to join their cause. But those seemed to be the only ones we knew for sure until this recent news. Most of these aren't surprising. Falcon, and Bucky Barnes are good friends with Cap, and Scarlet Witch hates Tony Stark. War Machine and Vision are friends and/or products of Tony Stark and his technology, so it makes sense for them to team up. Hawkeye could have gone either way, having little if any ties to either one of them. The surprise is Black Widow. She's spent time with both of them but certainly seemed more likely to side with Cap if I was guessing. 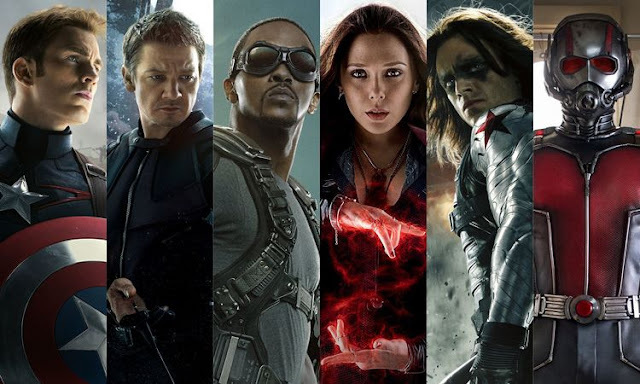 However, considering how close Hawkeye and Black Widow are, it's a bit surprising to find them on opposing sides. New to the show is Spider-Man (due to be played by British actor Tom Holland). He's a wildcard due to it being a rebooted version of the character. It should be noted, however, that in the comics he started the "Civil War" on Iron Man's side before switching allegiances to Captain America's side. Also announced to debut in the film is Black Panther, although he will remain neutral in the fighting due to already being on a mission of his own. Also of note, Thor will be unavailable for reason that are sure to become clear in 2017's final Thor film subtitled "Ragnarok." And as for the Hulk/Bruce Banner, he is rumored to appear, at least in "some capacity." Whatever that means. If were to appear that could make sense of Black Widow's choice in allegiance. Bruce Banner is after all friends with Tony Stark. If he would choose to side with Iron Man, that could give her reason to side with him too. However, I suspect Banner won't have much of a role if any considering the fact that The Hulk would be all too powerful to place on either side. Iron Man barely apprehended him in "Age of Ultron" and Black Widow is the only other person who could calm him down. Of course, all is speculation until there's an official announcement. The article also hints (or speculates) that there could be double agents, or members of these teams switching sides throughout. We'll just have to wait and see. "Captain America: Civil War" is set for release May 6, 2016.